Although it seems this remarkable little establishment was originally named after Oscar Wilde, we now have pictures of other Oscars adorning the walls, Peterson and a certain muppet to name but two. This aside, this genial bar and restaurant, hiding on Bisserweg in Grund, Luxembourg’s river valley quarter, is an unassuming but completely relaxing watering hole. In fact, I can honestly say that some of my best times in the city were spent here. Offering a simple but delicious menu, the star attraction has to be the stupendous burgers, served as nature intended, or with bacon, cheese, egg, guacamole or blue cheese, for a small supplement. A pleasing range of wines, beers, spirits and cocktails provide an ample choice of liquid refreshment and, in particular, the draught Battin can be recommended. 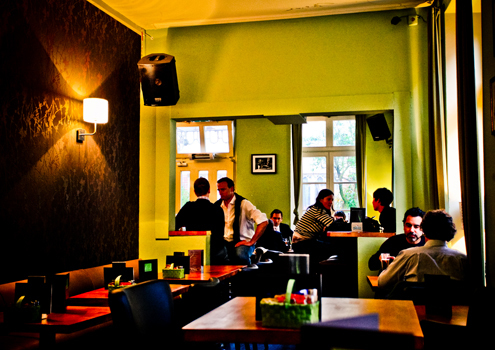 A perfect afternoon into evening can easily be spent in Grund, but in our opinion, it would have to be at Oscar’s.